On Friday May 20th, Rocky Mountain Rescue Group responded to a 911 call for an injured party near the Tonnere Tower area of Boulder Canyon. The patient was not a rock climber; they had been scrambling in a boulder field on the south side of Boulder Creek near the Boulder Falls parking area. 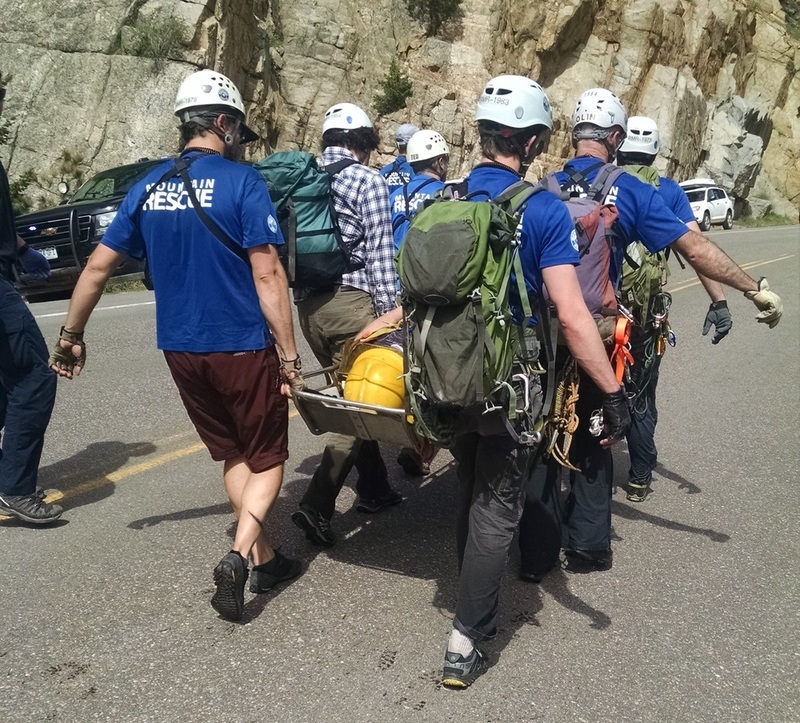 After securing the the patient in a full-body vacuum splint and litter, RMRG evacuated the injured party down steep rocky terrain with "scree evacuation." 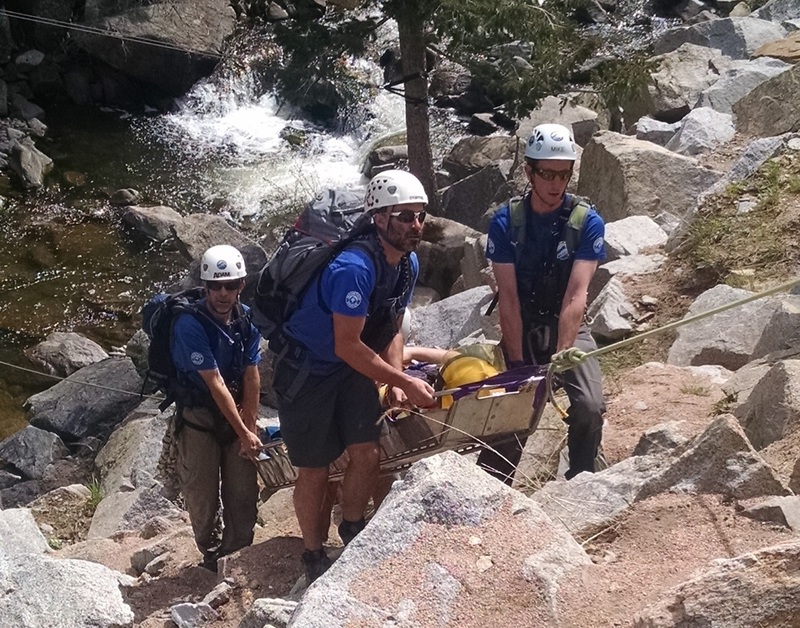 Rescuers carrying the litter borne patient across Boulder Creek at a low-water crossing. This rescue was RMRG's 47th call in 2016. Warm weather brings people to Boulder County's numerous recreation areas. Make sure you are prepared wherever you go. Know your limits and choose carefully where you hike or scramble. If you are unfamiliar with an area, it is easy to get yourself into a dangerous situation while scrambling on large boulders or talus.